Preacher: Mark Barnes (9), Andrew Davies (3), Paul Daniel (1), Owen Milton (1). Book: Genesis (1), John (1), Romans (1), 2 Corinthians (14). Series: Hope in our struggles (1), The Greatest of these is Love (1), Growing together in grace (1), Miscellaneous (10), Please pray (1). 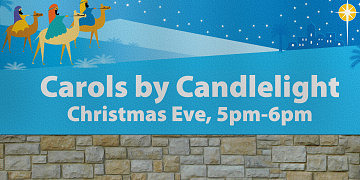 Service: Sunday Evening (6), Sunday Morning (5), Christmas morning (2), Midweek Meeting (1). 2 Corinthians 5:11-21 (Part of the Miscellaneous series). Preached by Paul Daniel on August 19, 2018 (Sunday Evening). 2 Corinthians 4:6-11 (Part of the Hope in our struggles series). Preached by Mark Barnes on February 25, 2018 (Sunday Morning). Genesis 1:26 (Part of the Miscellaneous series). Preached by Mark Barnes on March 12, 2017 (Sunday Evening). 2 Corinthians 8:1-24 (Part of the The Greatest of these is Love series). Preached by Mark Barnes on May 8, 2016 (Sunday Morning). 2 Corinthians 3:1-18 (Part of the Miscellaneous series). Preached by Andrew Davies on August 23, 2015 (Sunday Morning). 2 Corinthians 4:1-18 (Part of the Miscellaneous series). Preached by Andrew Davies on March 22, 2015 (Sunday Morning). 2 Corinthians 12:1-10 (Part of the Growing together in grace series). Preached by Mark Barnes on March 3, 2013 (Sunday Evening). 2 Corinthians 4:1-5:8 (Part of the Miscellaneous series). Preached by Mark Barnes on April 8, 2012 (Sunday Evening).